Aerial drone flyovers are a valuable tool for real estate transactions, boundary disputes, and general informational purposes for homeowners and landowners alike. 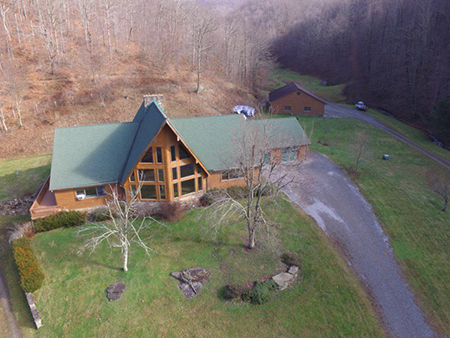 High-definition aerial video footage by Dale Shockey of Appalachian Home Inspections enables you to take your prospective buyers on an exciting tour of all of the wilderness areas, water features, structures, and other amenities of the property to help them understand the value of the property. Dale will meet with you in advance to discuss which features you would like to showcase. Location of buried lines or other ground disturbances often show up as contrasts in the color of the grass. Properties look much better and more exciting in video format. When you provide prospective buyers with aerial footage and/or photographs of your home in your listing, you may experience increased interest in the property. The early positive influence of enabling potential buyers to view the property may even help sell the property in advance of your first meeting. 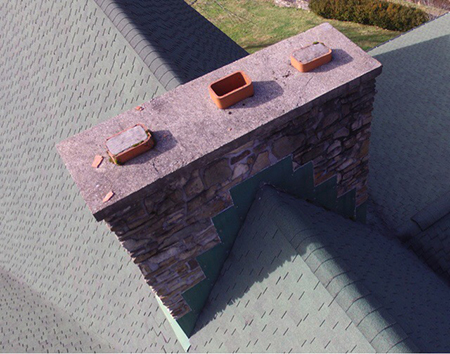 Appalachian Home Inspections handles all aspects of your drone imaging, including editing, to present you with footage that will really help bring your property listing to life. Are you a real estate agent handling a particularly lovely or large property? Consider adding aerial drone footage and/or photographs to your online listing. Aerial imagery of real estate is helping to sell properties faster and at higher prices due to more competition from buyers. When purchasers can see exactly what they are getting from an aerial perspective, they tend to quickly realize whether or not the property suits their requirements. This is particularly true for mountainous terrain that can be difficult to navigate. The more information you provide, the better. The National Association of Realtors strongly supports the use of drone footage for marketing purposes. Let Dale know what you need and call to set up an appointment for aerial drone services in North Central West Virginia: (304) 614-0636.